If you'll be in the NYC area, make and appointment with J.Crews in store wedding specialist, Kate. Then head over to Rockafella Center to preview J.Crew's fall 2009 Wedding and Parties collection. Check out J.Crew online for a preview. Want to give your traveling wedding guests a special treat? Design your own out-of-town gift bag just for them! Hand written sand dollars were an added touch to this already fun OOT bag. I love me some Pottery Barn! They are a great source for my inspiration. I love their seasonal displays. It makes you want to sit right at that table in the store for dinner. :-) I just want to get everything they display and have a party! 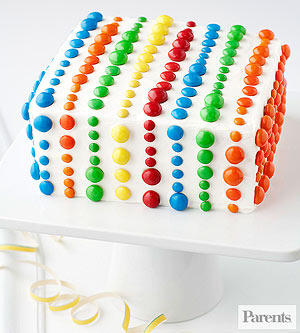 Check out their party planner, it's a great tool. I'm loving this Movie Night party. It may very well be the next event on my list! Head over to Pottery Barn to download the details. I love this theme found on Australia Entertains for a baby shower. When ever it's my turn, I'll be incorporating this theme into my shower! 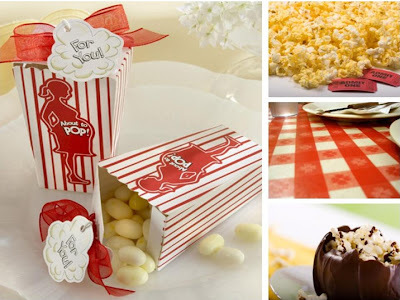 How cute are these popcorn boxes? And of course we'll send our guest home with an array of popcorn! A popcorn buffet is a must! This is a hit for me. Especially if they look like these beauties found around the net. I love the submerged orchids! 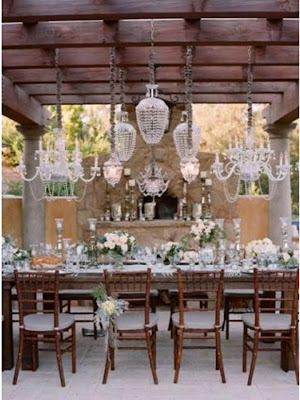 I am totally feeling Chandeliers as a decrative accent for a party or wedding. 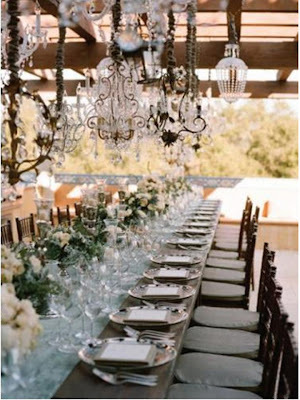 It makes it that much more chic and elegant, especially outdoors! Ok, so I was on one of my mall runs the other day and ran into this beauty! Loves this!! I wanted to do a tropical table for two for my husband and I, and there it is, I bump into this. Cute right? It's simple and elegant with a green, gold and orange color palette. The natural accents of the wooden serveware perfectly compliment the colors and theme. Just pick up a few faux palm leaves and hydrangeas and pair them with your wooden salad bowl or serveware and wha-la! Start planning your next celebration the Purple Trail way. Purple Trail provides free online invitations and management, announcements, and ecards. And guess what, there are no ads in your invites! Browse their invitation design gallery for a variety of stylish designs, or create one of your own in the design center. There are so many fun designs to choose from, I found one for every event I’m thinking of planning! I love that they offer animated invites. Choose from a variety of plans and subscriptions to help you to manage your invitation designs, delivery, reminders, and RSVP responses all on line. You’ll even be able to send out invites over SMS. 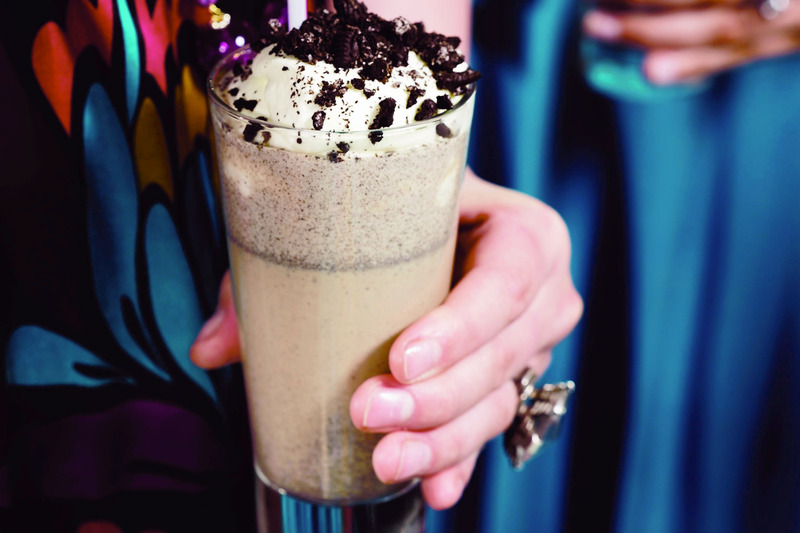 Need inspiration for your party? 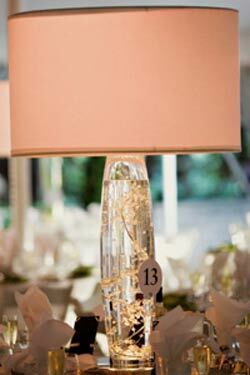 Check out their party ideas for a jump start. 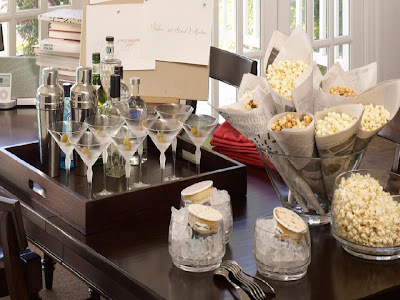 I definitely took note of quite a few party tips I found on the site. I’m planning on hosting a small open house, and I went directly to the housewarming party article, pretty informative. From suggestions on how to conduct home tours to décor and food. This will now be my go to tool when planning my parties! I’ve gotten great tips and was inspired by tons of party themes, decor, favors, DIY projects, printable shower games and so much more! Check it out for yourselves…click here. 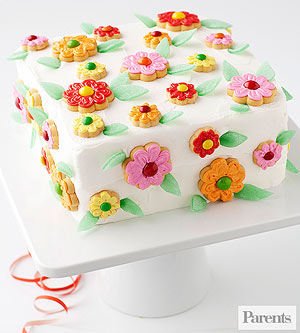 How cute is this cake? 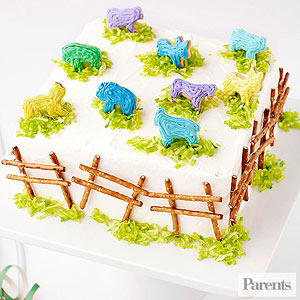 Wouldn't it be cute for a Noah's Arch baby shower? Ok...this will work perfectly for a garden shower. Try one, it's Fuss Free,you can do it! Get a load of this!!! Can you believe this wedding had a total of 6 people? This wedding totally goes to show that a short guest list doesn't mean short on style! This is Fabulous! Each guest had their own wedding cake! Last weekend along with the bridal party, I hosted a garden party bridal shower for a good friend of mine. It was a beautiful hot summer day, and what helps shade you from the sun and goes perfectly with a garden party? Yep...A Fabulous hat! So the guests were asked to wear a fab hat and join us for a Botanical Bash! The Bride was presented with a choice of hats. It was a surprise to her so she wasn't equipt with her own. I used a variety of galvanized cans for the centerpieces. A special little area created for the bride. This Ginger Lemonade was a hit! It was gone in no time.